Derry Weaver is the owner and CEO of D&S Flooring, which he founded in December of 2014 with his wife. Derry has over 28 years of experience in the flooring industry having started installing tile as a teenager and never quit! Derry is a man of integrity whose aim in business and life is to honor Jesus Christ (2 Corinthians 5:9) and have fun while doing it! Born and raised in Lancaster County, PA, Derry grew up working on his dad’s chicken farm where he learned the value of hard work and just how much he’d rather be doing something else for a living. 😂 He still eats eggs though and will take the sunny side up, thank you very much. Amidst the demands of running an ever-growing business with the complexity of coordinating construction schedules, Derry maintains a lifestyle of worship with an active commitment to his local church. He also takes the time with his family to get away to the cabin every once in a while for fun and recreation. Flooring of Choice for Your Home: Ceramic tile. Family: Married to his bride Sherri since September 1993! Together they they have 5 children and 1 daughter-in-law. Sherri Weaver is Derry’s lovely wife who manages the books and takes care of more details than we can count. Her invaluable work in accounts payable, filing, banking, cleaning, and whatever else is needed truly holds D&S together. Sherri grew up in Lancaster county and loves spending time with her family, especially when they go boating! She and Derry are active at Ephrata Community Church. Sherri also volunteers at ELCO school district at Release Time, a program designed to teach the Bible to 3rd through 5th graders. She’s also a baby whisperer and can calm even the most colicky infant. Sherri is amazing! Flooring of Choice for Your Home: Tile all the way. She’s never had hardwood in her home, but she likes to the look of hardwood flooring. Family: Sherri is married to Derry, and together they have 5 children and 1 daughter-in-law. Lee Ritz is an essential part of the D&S team. Lee lives in Denver, PA with his wife Joyce, and he joins D&S with a long working history with owner Derry Weaver that predates D&S’s beginnings. Lee became our first full-time employee in the spring of 2015. 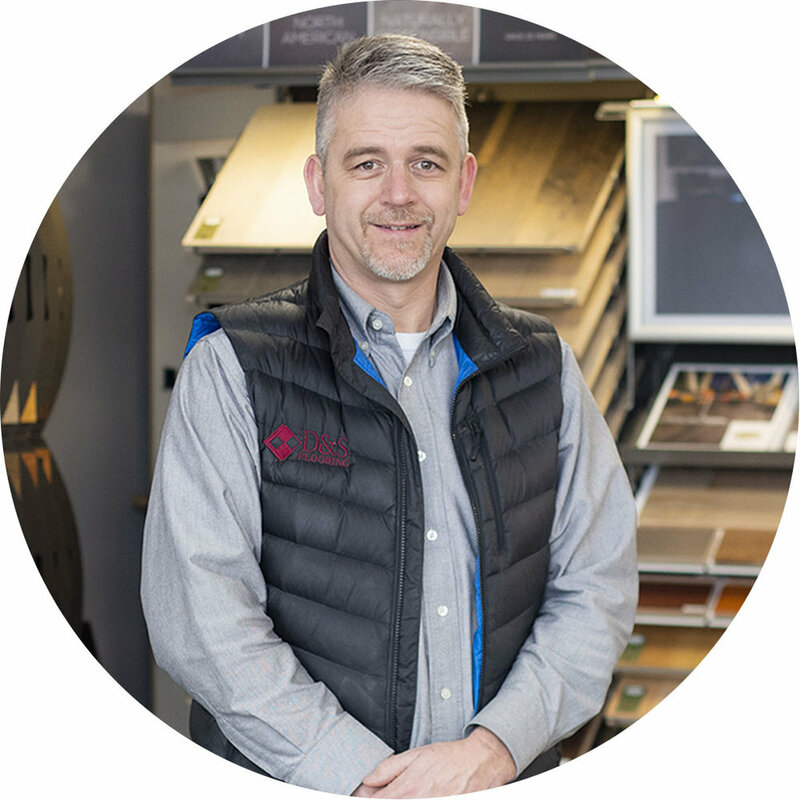 As Contract Sales Manager, Lee works with both commercial and residential projects ensuring our customers’ visions for their flooring come to reality while also overseeing and advising several aspects of the company. Family: Lee and Joyce have 5 children and 11 grandchildren with another on the way. Josh Tangert began working for D&S Flooring in May of 2017. He is employed in contract sales where his role is to bid jobs and work with customers to bring their flooring visions to reality. He also helps everyone in any way he can. Josh brings a lot of laughs as well as an excellent work ethic to the team. His willingness to learn and professionalism on the job are already strengthening our company as well as helping many customers. Josh is reliable. Josh was born on a leap year in 1984. So technically, he's only 9 years old until 2020 when he will celebrate his 10th birthday. Flooring of Choice for Your Home: Glue-down LVP! Family: He is married to Audrey and together they have 3 children. Shelby Weaver joined the D&S Flooring team in February 2019 as part of the sales team. We’re so glad to have her help represent the company to customers! Born in Lancaster, PA and raised on a dairy farm in nearby Myerstown, Shelby grew up learning to work hard and serve people. As far as her work history, she babysat as a teenager and worked at a local restaurant and a distribution center doing data entry during high school. After high school, she jumped into the flooring industry working as an administrative assistant and salesperson. Before coming to D&S, she’s been working in sales and payroll at a local cabinet shop. Shelby loves spending time with her family and enjoys scrapbooking and water skiing. Her greatest appreciation in life is her relationship with Jesus Christ which began when she was 13 and has been growing ever since. She credits her parents with this privilege who took her to church growing up. It’s something she can’t imagine her life without! Flooring of Choice for Your Home: Her dream floor would be to have heated floors with ceramic tile in my kitchen, laundry, and baths and the warmth of carpet in her main living area and bedrooms. Family: Shelby and her husband Dean Weaver have been married for over 25 years and together have three children: Kyle, Quinten, and Alyssa. Lester began working at D&S Flooring in September 2015. His role is to manage the warehouse and advertising strategy. His strengths are communication, organization, attention to detail, and finishing tasks. He also has a strong grip on flooring industry knowledge and often orders flooring materials and supplies. Before moving to Ephrata, PA, Lester worked and attended church in Reading, PA, famous for its spot on the Monopoly board. His favorite Bible passage is Psalm 27. Excellent choice! Flooring of Choice for Your Home: Glue-down LVP. Family: Lester has a son named Aaron, and his mom, Francis, lives nearby in Reading. We are so happy to have Josh on board as an installer. Despite the confusion of having two people named Josh (both hired in 2017), we are thrilled to have him on the team! 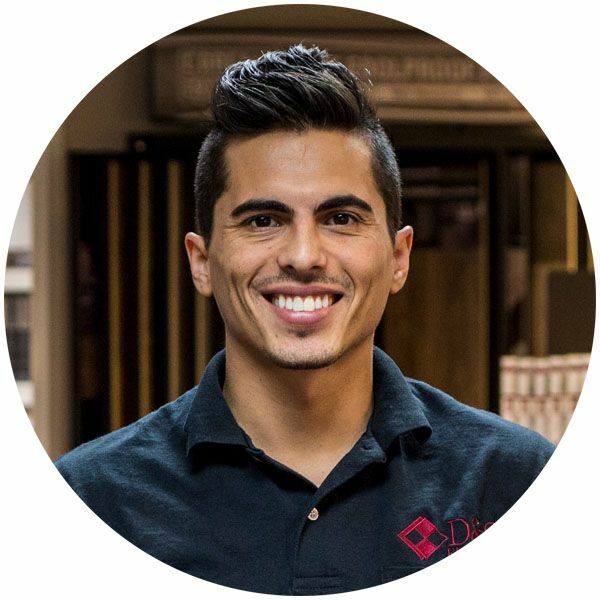 Josh is credentialed in vinyl and linoleum installation, and he comes with years of experience in wood, carpet, and tile installation as well. His wealth of floor industry knowledge is already contributing significantly to the company. He installed all the vinyl flooring in our new showroom space and it looks great! For Fun: Josh is the tallest employee at D&S at 6' 4". Family: Josh is happily married to Lauren. Mike Marinari joined the D&S Flooring team in January of 2018. Mike brings over 16 years of flooring experience to the company. We have his dad to thank for teaching him the flooring trade at a young age. He took his first summer job as a 14 year old installing floors for a company in York, PA. Mike does it all: tile, hardwood, resilient (vinyl), stone, carpet, and more. He's most experienced in carpet and really enjoys custom carpet jobs installing carpet on stairs. Being on the D&S team excites Mike because of Derry's positive reputation with contractors, customers, and those in the community. Mike hails from Lancaster county having grown up in the Strasburg, PA area. He likes to spend his free time serving alongside friends both on projects and service to those in need! Flooring of Choice for Your Home: Sheet vinyl, an ideal choice for a family dwelling. Family: Mike is happily married to Jenni and together they have 3 children. Jason joined the D&S team in May of 2018. He brings a wealth of experience to the company with 14 years in the flooring industry. Jason was born in Denver, PA and has grown up in the Lancaster area. So he understands shoo fly pie and safely avoiding buggies while operating the company vehicle. He can install and repair almost any type of flooring, but he specializes in hard surfaces including hardwood, tile, resilient tile (LVT) and plank (LVP), stone, and other similar applications. We're excited to have him on board! For Fun: At one point, Jason would have rivaled the women in the company for longest hair! Family: Jason is married to Ashlee and together they have two boys and reside in Ephrata, PA.
Roger began working with D&S Flooring in July of 2018. We’re just as excited as he is to have him working on the D&S team. As a God-fearing man, Roger is motivated to serve the company with excellence, and as a working man since his high school days, his extensive years of experience in construction, agriculture, management, office work, purchasing, accounting, and customer interactions adds a broader scope of understanding and a depth of knowledge to the company. In addition to his 27 year work history, he comes with a lot of personality, his favorite movie being ‘Dumb and Dumber’. So fun! Another remarkable fact about Roger is his love for mushrooms. Roger has been known to consume an entire 10-pound box of fresh mushrooms in under two weeks! Out on the field, he really loves seeing a job come together whether it’s a tile install or a flooring project. When he gets to see the finished product and the customers’ satisfaction, it brings him a great sense of fulfillment. Other fulfilling things in his life include golf, hunting, and travel, especially with his wife 😍. Flooring of Choice for Your Home: (Without question) Resilient Luxury Vinyl Plank (LVP) and Resilient Luxury Vinyl Tile (LVT). Family: Roger and his wife Robin reside in Denver, PA with their 3 teenage kids. Though September 2018 inaugurated their new season as parents of a 20 year old! Darryl Mowrer joined the D&S team October 2018 as a full-time installation technician. He comes to us with over 30 years of experience in the flooring industry, and we are honored he’s part of our crew. Darryl grew up in southern Lancaster county in Georgetown and graduated from Solanco high school. Keeping alive the D&S tradition of working with egg-laying chickens, Darryl labored for Trout’s Eggs for 5 years before jumping with both feet into the flooring world in 1983; the same year NASA sent the first woman into space! Given the choice, he’ll take his steak medium rare and enjoys fishing as a hobby. He and his wife like to take small trips together whenever they can! Flooring of Choice for Your Home: A high-quality (high-priced) laminate and soft and comfy carpet for the living room! Family: Darryl is married to Nikki and together have 2 sons. Nick was born in California and grew up 7 miles from the beach. In 1995 his family moved to Lititz, PA leaving Nick fearful he would have to attend a one-room schoolhouse and forsake electricity. Thankfully those fears never materialized, and he now loves it here and enjoys Gene Wenger Ham Loaf as he happily resides in Ephrata with his wife Lindsey and 3 wonderful kids. Flooring of Choice for Your Home: Resilient Luxury Vinyl Plank. As a matter of fact, in the spring of 2018 he purchased Mannington Adura Max LVP, color: Meridian Carbon for his kitchen and mudroom from D&S and had the privilege of Mike Marinari, flooring technician extraordinaire, install it. They are super pleased with the floor! Cherish Weaver is the oldest daughter of Derry and Sherri. Cherish contributes to D&S in many ways from cleaning and organizing the showroom to clerical work in the office and assisting in promotions. Cherish is full of joy and is very active in church, school, and extra-curricular sport and artistic programs. For Fun: Cherish likes to perform in her high-school's musicals. Family: She's the 3rd oldest of the Weaver kids after her oldest brother Jordan and second oldest brother Jared. After her are Hannah then Jude, the youngest. Jared Weaver, son of owners Derry and Sherri Weaver, puts the "s" on Derry and Sons Flooring LLC as the second son working here. In the summer of 2016, he assisted in the warehouse. 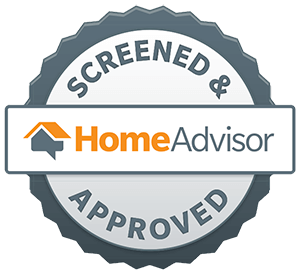 The following summer, he was added to installation teams installing in tile, hardwood, vinyl, and hardwood jobs. Jared steps in to help in many other ways whenever needed. We appreciate his presence and his help seasonally. For Fun: Most notably, as a pole vaulter in high school, Jared can stand on his hands for a million years. As a senior in high school, he broke his school's pole vault record. Family: Jared is son of Derry and Sherri Weaver and has 4 siblings. Grant Brubaker works for D&S during the summer and other school breaks. Grant assists in the showroom, warehouse, and out on projects often with Josh Plank. We've appreciated his help and his attention to detail. For Fun: Grant might actually be Superman because sometimes he wears glasses and sometimes he doesn't. Family: Grant is son to Dale and Sharon and has 3 brothers.